SGI wouldn't allow Dave Assman to have a personalized licence plate with his last name so he had it applied to the back of his truck instead. 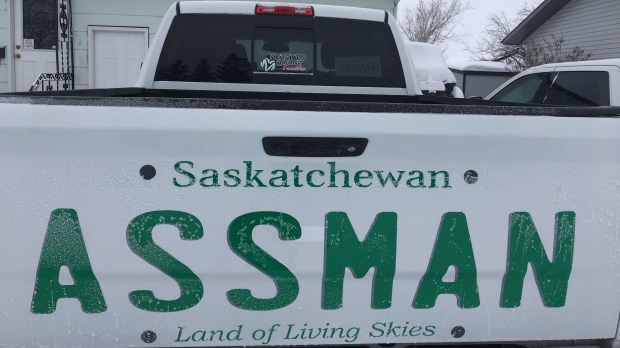 MELVILLE—Dave Assman is getting the last laugh.After SGI rejected Assman’s (pronounced ‘Aus-man’) request for a personalized licence plate that bore his last name he had an enlarged version applied to his truck’s tail gate. “Everybody that knows me knows I can throw a lot of sarcasm at people” he said. As it happens, there are no limitations on Assman displaying his name. 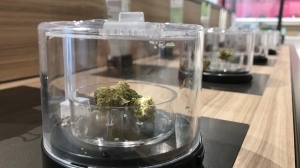 “For the life of me I cannot think of any charge that could possibly be laid under the Highway Traffic Act or the Criminal Code,” said Rob King of the RCMP. In effect, the only restraint would then be from the car detailer. Brad Ritz runs The Stripe Shop, a car detail store in Regina, and has had some requests he found offensive. But Ritz saw “no problem with [it] at all” when asked about Assman’s decal. 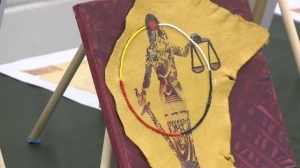 Assman’s appeal to SGI about the initial rejection of his licence plate request was rejected, but he says he’s now fine without it. Since his story went public his social media friend requests have skyrocketed and other Assmans have reached out to him in solidarity. An Australian novelty shop is even sending him an Assman licence plate and keychain, free of charge.